One of the defining lines between pets and other animals comes down to an unpleasant, though necessary, consideration: waste management. Cats and dogs, with their trainability, are easy choices, as are small birds and animals whose cleanliness can be maintained through litter changes. This is probably a big reason chickens are more often seen in the barnyard than on the couch. But many claim chickens can be potty-trained and make great companion animals. For most, the main question isn't of a chicken's potty-trainability; rather, they'd wonder, "Why bother?" Chicken owners, however, know they can be fascinating creatures. 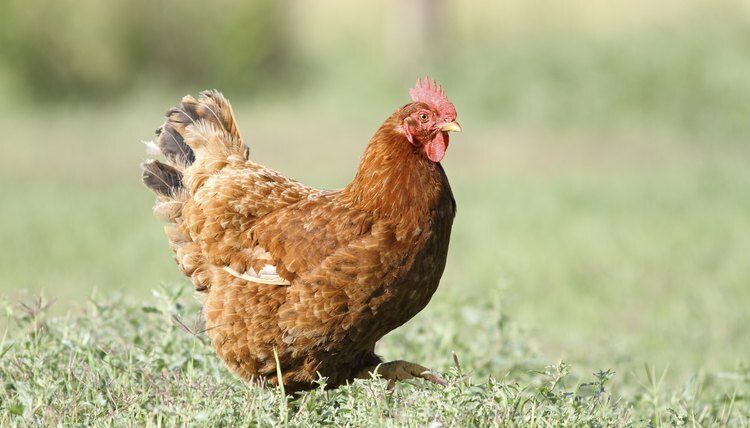 Chickens not only produce food by laying eggs at recurring intervals (neither cats nor dogs do this), but they also provide pest control by eating bugs. Plus, they're fun to watch. Like dogs, there's a large variety of chicken breeds to choose from, each with distinctive physical traits and temperaments. The first consideration for potty training a chicken is plausibility: Is it even possible? Does a chicken have the biological ability to control her bowels and get herself to an assigned area? The unconventionality of indoor chicken keeping is such that there's not much official documented information on this point, but positive anecdotal evidence abounds on the Internet. Coop behaviors -- broody hens innately avoid pooping in the nest -- suggest that chickens do, in fact, “hold it” naturally. So How Do You Potty-Train a Chicken? Potty-training is a lengthy process. Begin by timing a young chicken's defecations to instill a pattern-based habit: Take the chicken to an assigned spot, issue a command and reward with a treat. In time, the chicken can develop a habit and can be relied upon to mostly go in the assigned spot, though occasional accidents should be expected. At night, when chickens poop the most, place paper beneath the roost for morning cleanup. If you want to enjoy an indoor poultry presence but either you can't commit to training or your chicken just doesn't get it, a second option exists for controlling their manure -- chicken diapers. They're commonly used by chicken keepers who, for whatever reason, keep chickens indoors. Chicken diapers require changing at least once a day and are custom-made to keep feces away from a bird's body. BackyardChickens.com: Potty Training Chickens, How-to!